Obituary for Beverly Ann (Robertson) Bates | Crandall Funeral Home Inc.
Beverly Ann Bates was born July 6, 1941 in Jackson Hole, WY to Cecil and Frances Robertson and passed away March 18, 2019 in Evanston, Wy. She married Norman Bates on March 15, 1969. They had a son Todd Wilson Bates October 10, 1971. Bev and Norm loved their life together and made their home in Mountain View Wyoming. While she and Norm raised Todd, she worked part time for the Senior Citizens Center in Mountain View for many years. She enjoyed her time there with co-workers and the seniors that came in for lunch. She loved animals and always took in any stray pet in need of a home. She enjoyed her grandkids, long visits on the telephone, crossword puzzles, gardening, arrowhead and rock hunting, and stories about her brothers. She is survived by her son Todd (Melea) Bates of Mountain View, WY. Step-Children Becky (Mark) Seeley of Chester, Idaho, and Gene (Barbara) Bates of Green River, WY. Brothers Joel (Jeanine) Robertson of Alpine, Wyoming and Alan (Sue) Robertson of Prescott, AZ. Grandchildren Spencer, Adam, Lily, Sara, Janice, Ben, Valerie, Manda, Malynda, Chad, and Jim. Along with several Great and Great-great grandchildren, nephews and nieces. She is preceded in death by her beloved husband Norman, her Step Daughter Ruth Taylor, her brothers Toby (Garth) Robertson, Lance Robertson, Donnie Robertson, and Robin Robertson. 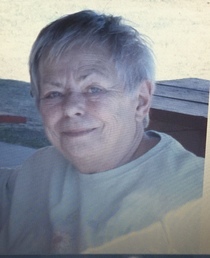 A graveside service will be held in her honor on March 30 at 1:00pm, at the Fort Bridger, WY cemetery. Luncheon to follow. She will be greatly missed by those who knew and loved her.